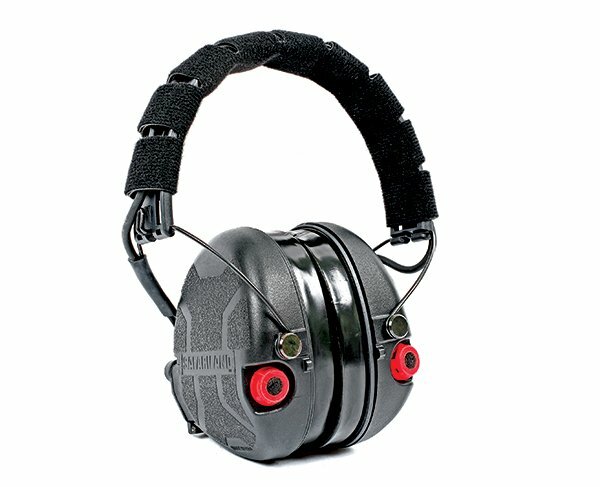 I’ll just say it: If you don’t use electronic muffs of some sort at the range or during training or teaching, you’re missing out — literally. You’re missing range commands, missing questions from students, missing danger signals (“Was that an action closing I just heard, on a cold range?”) and missing the ability to be more relaxed. There’s lots more things you might be missing, but you’ll never know unless you can hear them. I also keep a set next to my bed for that bump-in-the-night we all think about. Something odd going on? Don the muffs, turn ’em on and presto you have Superman hearing. Your significant other should have a pair too. And something I’ve learned is, like anything, as attractive the discount $29.99 set may seem, it just never seems to work out that way. Sure, the price “sounds” good, but the actual sound never lives up to expectations. And they tend to eat batteries and quit working. At least the ones I’ve handled. So, this is one of those cases where you need to pay as much as you need to — which may not be as much as you want to. This latest electronic muff from Safariland is right at the top of the pack and pretty much the equal of any of the other top brands and models. It has features and benefits you want and not a bunch of add-on “features” you don’t need. First off is comfort. When you’re wearing your muffs for a 5-day class, they need to be comfy. The cloth shield over the head-band is soft and easy to remove to clean. The hear pads are a foam which seals well but doesn’t cause “hot” spots around your ear. There’s a bit of bone near the skin’s surface at the back of the ear and if the pads aren’t just right, the pressure can really cause a sore spot and a headache. The muffs are shaped well and undercut slightly to fit a rifle stock. The electronics are simple and button-operated. They turn on in the noise compression mode (shuts out gunshots) but amplify ambient sound. The second mode is “active noise cancellation” meaning it will dull constant noise like a jet engine. The third mode combines the two modes. 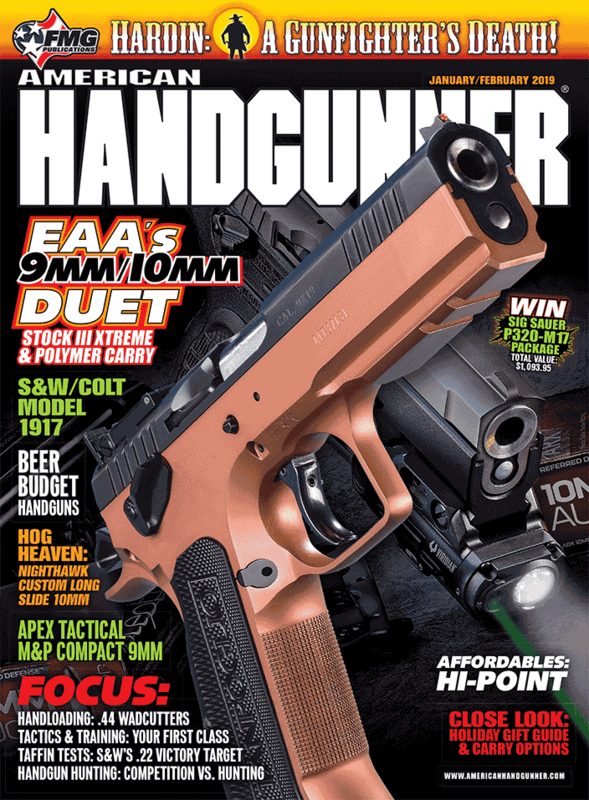 Purchase A PDF Download Of The American Handgunner Jan/Feb 2019 Issue Now!